2019 GAULT & MILLAU NATIONAL RESTAURANT GUIDE. 2017 SBS TV SERIES- FOOD SAFARI EARTH with MAEVE O’MEARA. 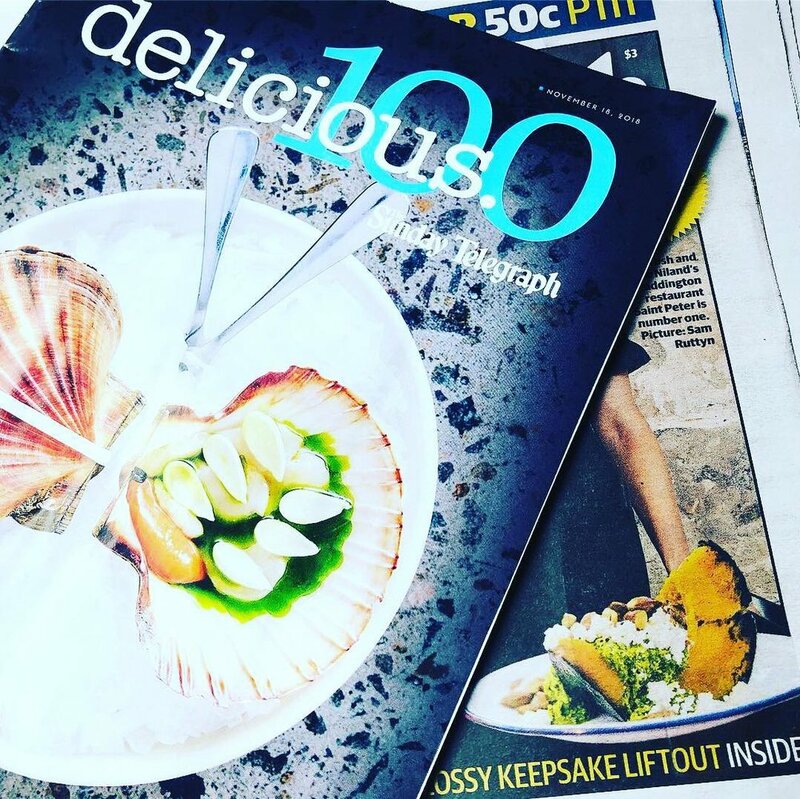 Delicious Magazine TOP 100 - Daily Telegraph. URBAN LIST SYDNEY - PAZAR Food Collective | Canterbury Road’s Culinary Oasis. LISTED IN TOP 10 SURPRISES FROM THE LIST. Having eaten at the finest restaurants from New York to Paris, Avila says it is an unlikely Western Sydney eatery that served up what he described as “probably best meal of my life”. It followed an exhausting, whirlwind Sydney culinary tour taking in the new French fine diner Hubert in the CBD, Icebergs at Bondi Beach, cocktails at Coogee Pavillion, meat pies at Katoomba Bakery and whole roasted pig at Argentinian grill house Porteno. 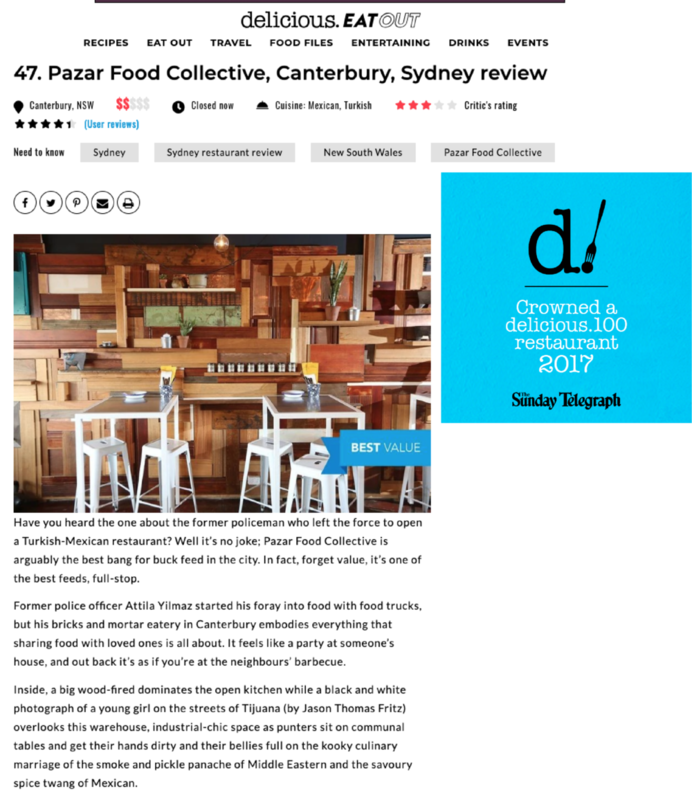 But it is a plate of smoked lamb shoulder, served up at Pazar ­Collective on Canterbury Rd, that earned the highest praise from the man whose taco truck is often compared to a fine-dining restaurant. “I can honestly say I have never had flavours like that before,” said Avila. "My standout of the starters is the smoked labne, laced with a dense smokiness that I cannot resist. We dip and dab our way through everything with warm squares of wood oven-baked pide bread encrusted with sesame seeds and nigella. REVIEW -WOOD FIRED DISHES TO WOW THIS WINTER.